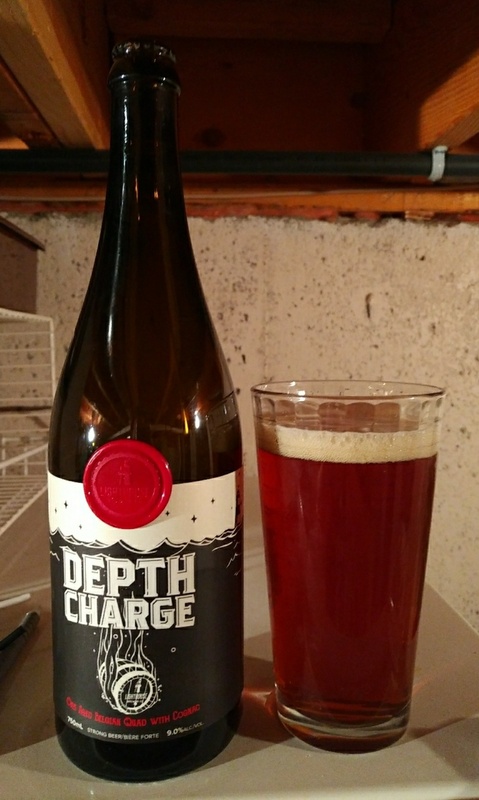 From Old Abbey Ales the new brewery on the block in Abbotsford comes their “Belgian Quad” a bottle conditioned beer. The beer pours a deep brown with a ruby tinge to it and a tan head. The aroma consists of dark fruits, cherries, bananas and sweet malts. The flavour is of earth, alcohol, dark fruits, cherries, molassus, brown sugar and yeast. This beer has some great body to it! The alcohol content comes in at 10.1% with an IBU of 27. 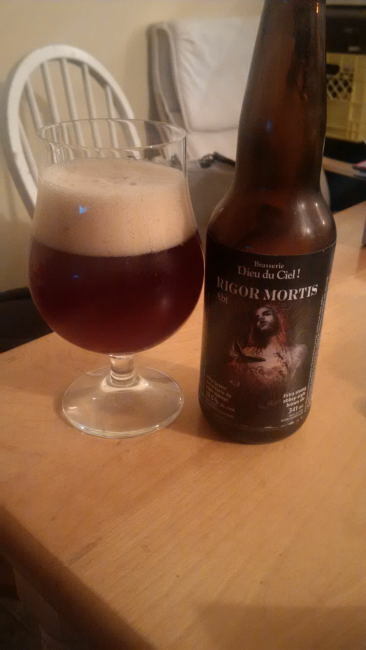 This is a great Belgian Quad and I recommend anyone that has a chance to try it to do it! Commercial Description: Old Abbey Ales Belgian Quad is our biggest, most flavourful beer. At 10.1% ABV, this Belgian style Quadruple represents a deep garnet to dark brown hue of bold strength and character. Exhibit great depths of maltiness, the smooth mouth-feel and full body deliver multiple layers of malt complexity evocative of rich, dark fruit, molasses, brown sugar and more. This beer also exhibits spicy yeast notes while the hops keep the mall sweetness from becoming cloying, but they remain in the background.